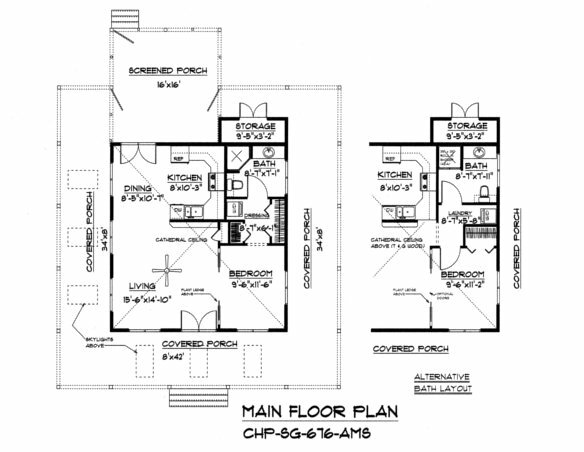 PDF (Portable Document Format) File: contains the complete digital construction drawings and Copyright Release Agreement for CHP-SG-9676-AMS. 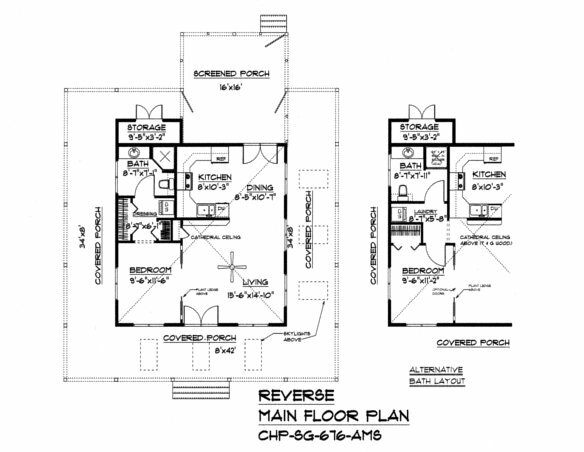 Plans will be emailed to the email address you provide on the order form. Select the combination of options from the drop-down options menu above (PDF File As Shown) and then click "Place Order", (instructions for online discount will be on the order page). Note: If you have already purchased a Repro plan Set and would like a PDF File, it is available to you, as the purchaser of record, for 75% off the regular cost. 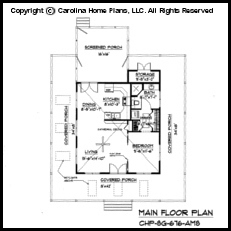 Email us at support@carolinahomeplans.net with your name, address, order number and plan number. We will then reply to you with instruction for placing the order. This option is available for up to one year from original date of purchase.